Space was the topic of the day during the visit of economy minister Etienne Schneider, who visited Remerschen last week. 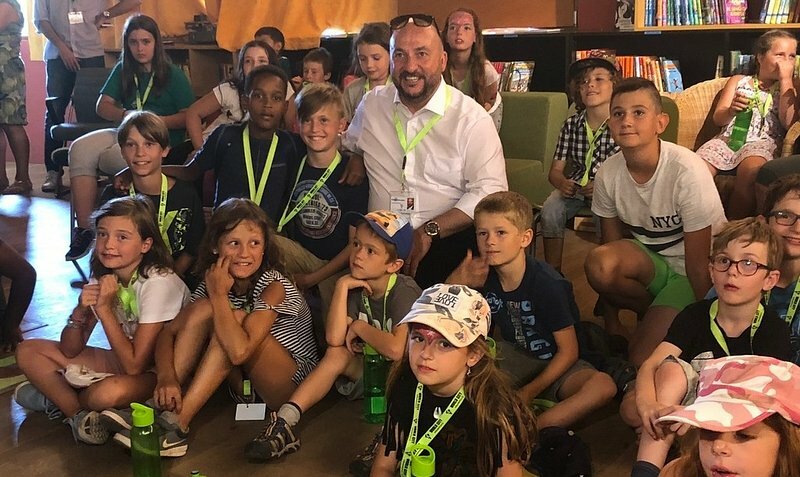 50 kids between the ages of 6 and 12 were gathered to learn more about space mining from minister Schneider, who visited the school as part of "Project Miselerland", a programme designed to promote social inclusion. Schneider explained that the goal of space mining is to profit from the universe's riches, such as important minerals. The kids were astonished to find out that the first missions are expected to be flown in only a couple of years time. To highlight the possibilities of space mining, Schneider explained that space minerals can be used to build complex technology such as smartphones, and that asteroids can be used to produce water. Schneider's space mining project's main focus at the moment is on attracting businesses to Luxembourg. Around 50 businesses have already invested in Luxembourg's brand new space mining sectors, with around 150 more currently still under negotiation. Last year, space mining laws were passed and Luxembourg is the first country in the EU to have laws governing the use of space resources. Schneider's talk on space mining was just one of the activities the almost 350 children taking part in the project Miselerland could choose. After the activity, the children said that they had learned a lot. The project Miselerland will continue over the next two weeks and includes a host of sporting activities as well as panel discussions in Remerschen.